Now available also for PS 1.7. 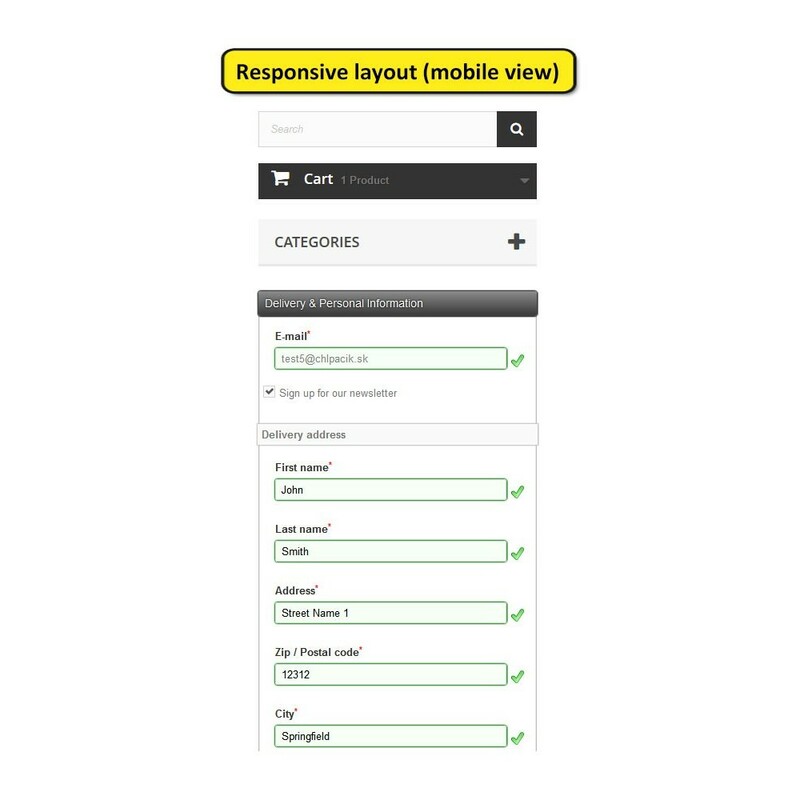 Professionally looking and responsive checkout. Our advantage over competitors? We provide not only product as-is, but also Professional support, Consultations and Customization according to your special needs. 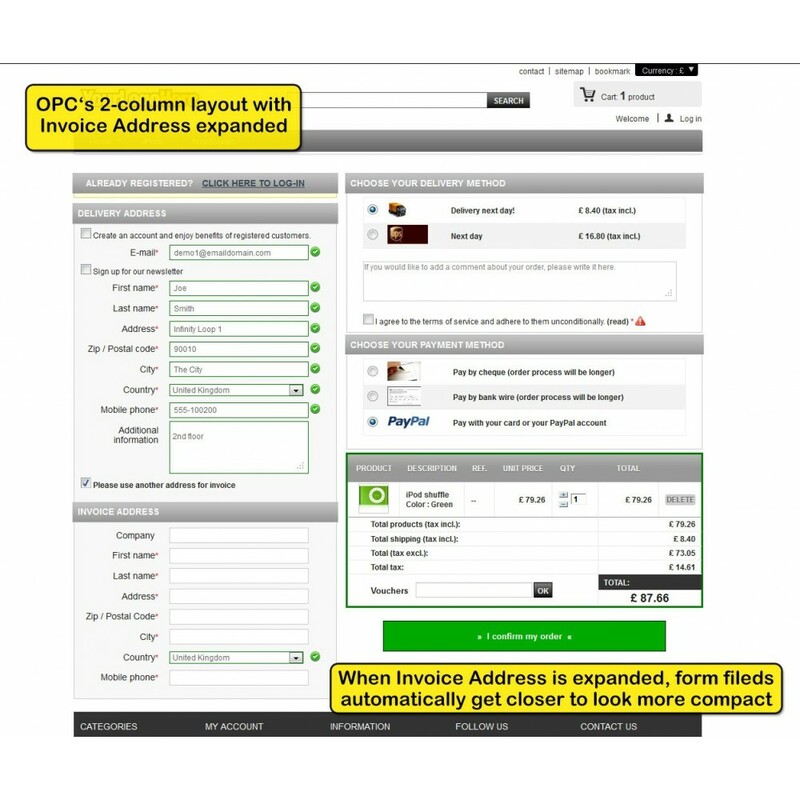 One Page Checkout module is now a very mature product and when it comes to professional looking and powerful checkout it's being No.1 choice since 2009. 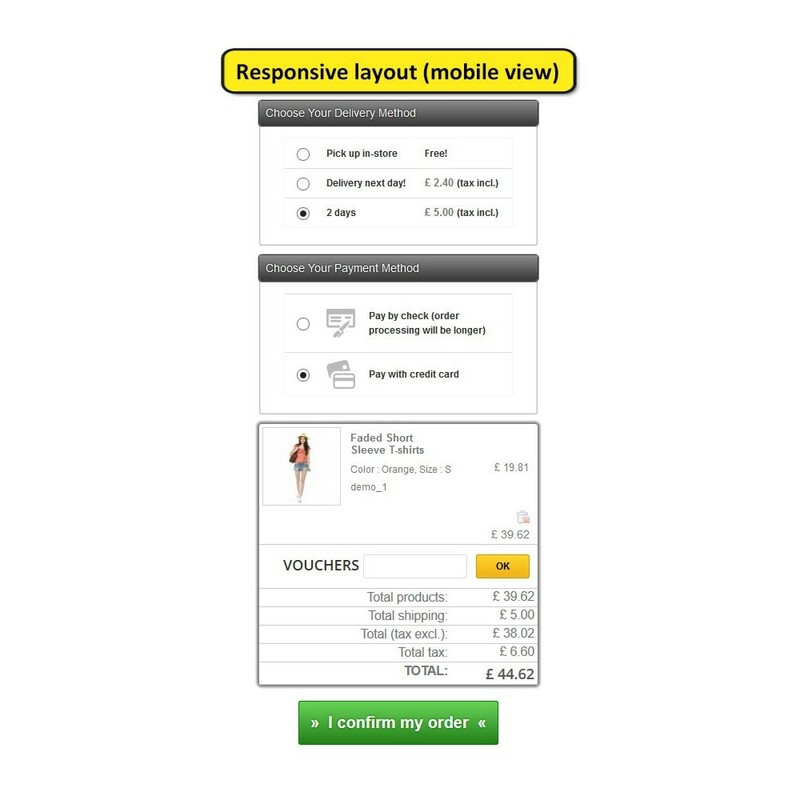 While PrestaShop has it's own One page checkout since v1.4, many shop owners think it's just not it, that it lags behind especially in customer comfort and intuitiveness. Following our successful One Page Checkout module for PrestaShop 1.2, 1.3 and 1.4, we've spent lot of time discussing with many business owners to help us design really powerful OPC module for latest Prestashop. We're bringing few new features and completely new styling which could help customer satisfaction and conversion even more. As with previous versions, very popular Sticky cart and/or Sticky summary, i.e. 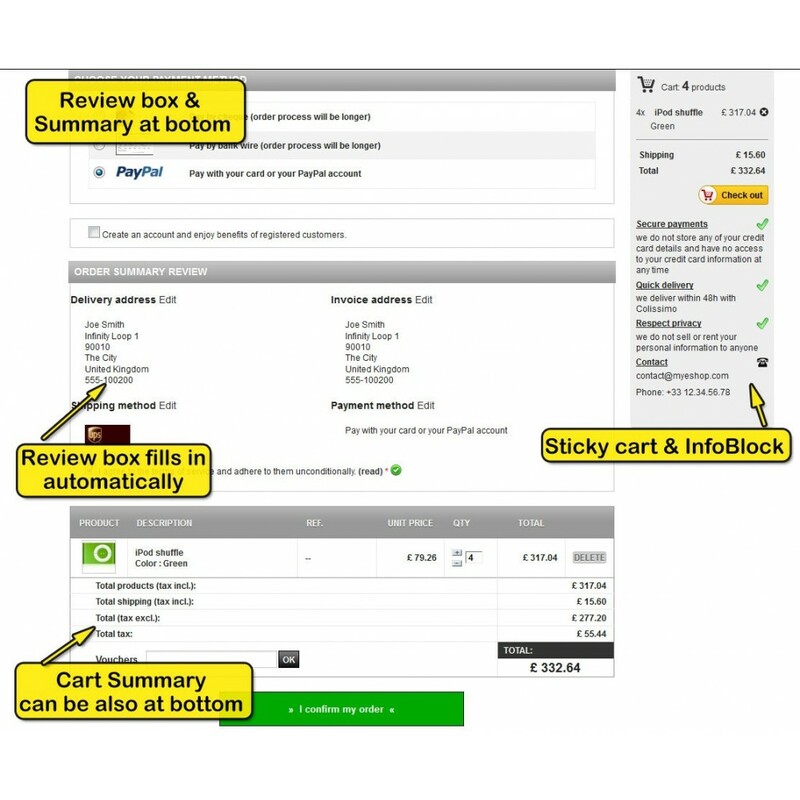 cart block or cart summary sections is always visible, it's floating. Finally, support for virtual goods! No delivery address, just email and payments. Checkout form compliant with the new German e-shop law! 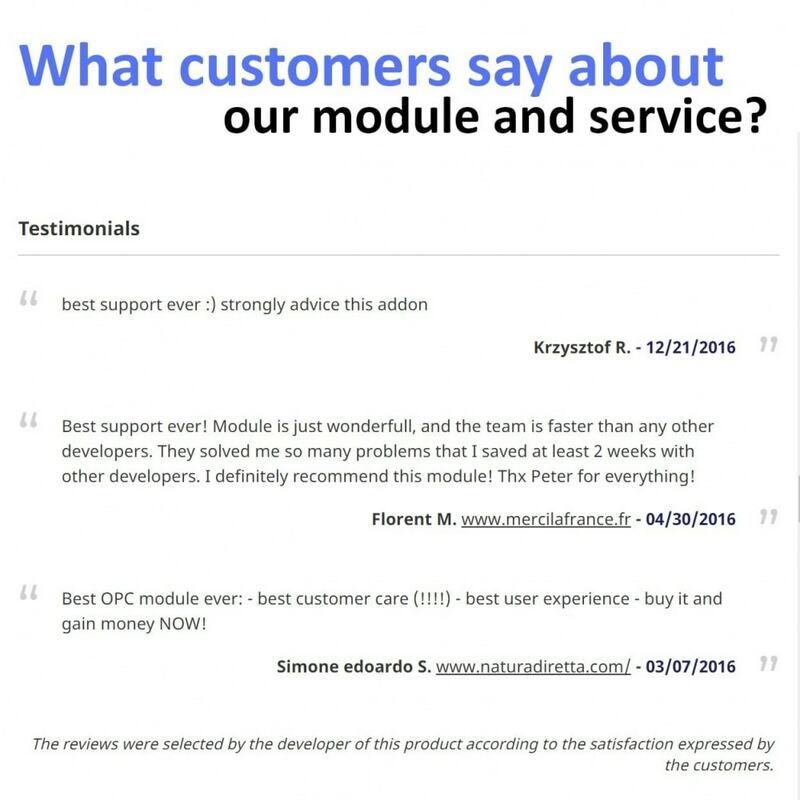 Module is compatible with any theme and any payment module, should something be incompatible, fix or refund is guaranteed. 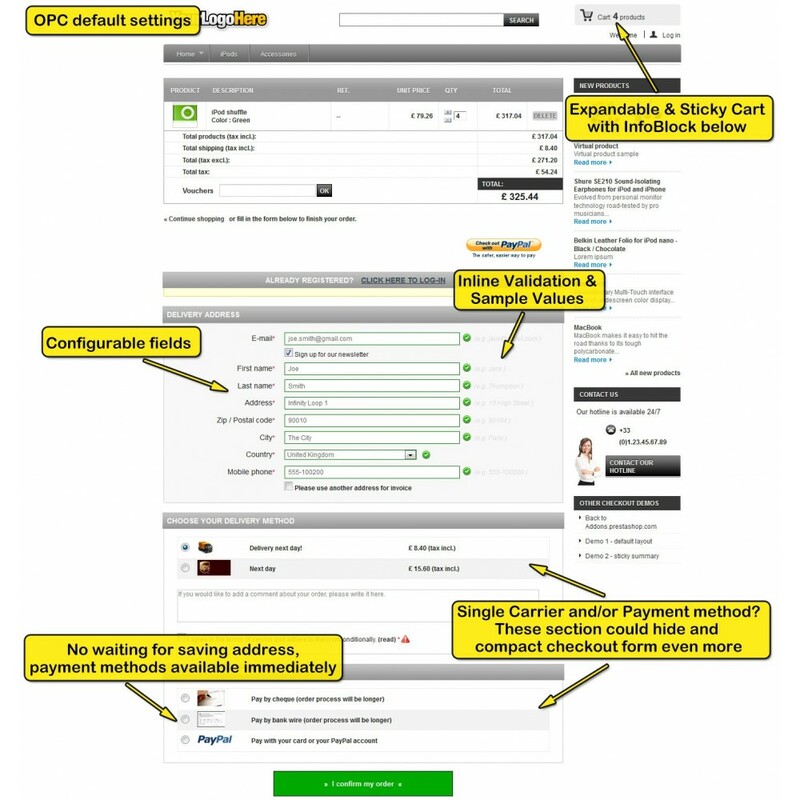 All checkout form options visible immediately. No half filled-in forms to see the rest. Very usable from any device - smartphone, tablet, laptop or big screens. Social login buttons for Google and Facebook with Official design guide. 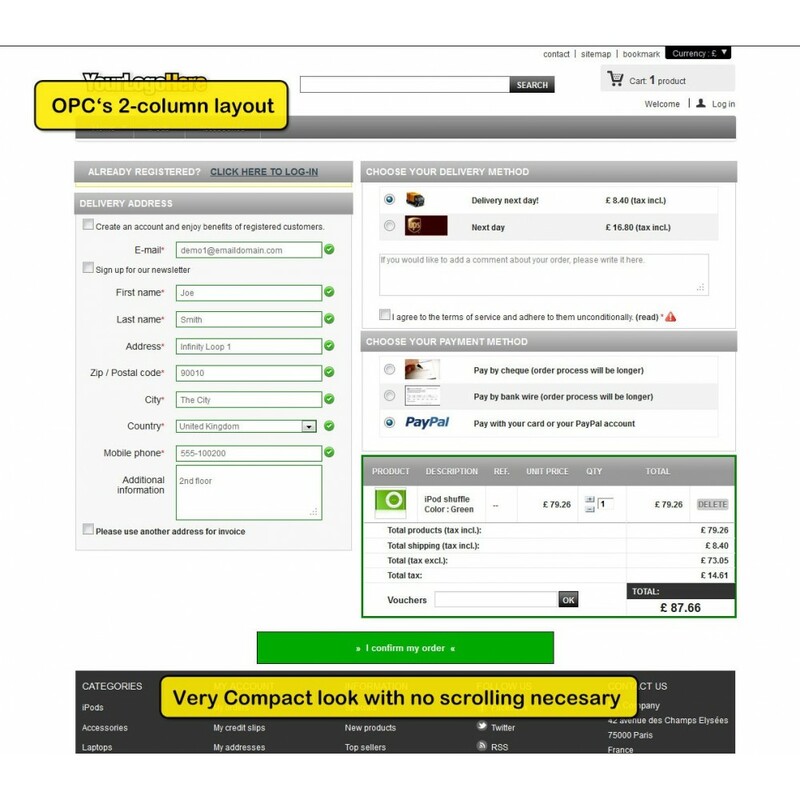 Displays nice and compact Cart Summary Popup / Modal window whenever 'Add to cart' button is used. 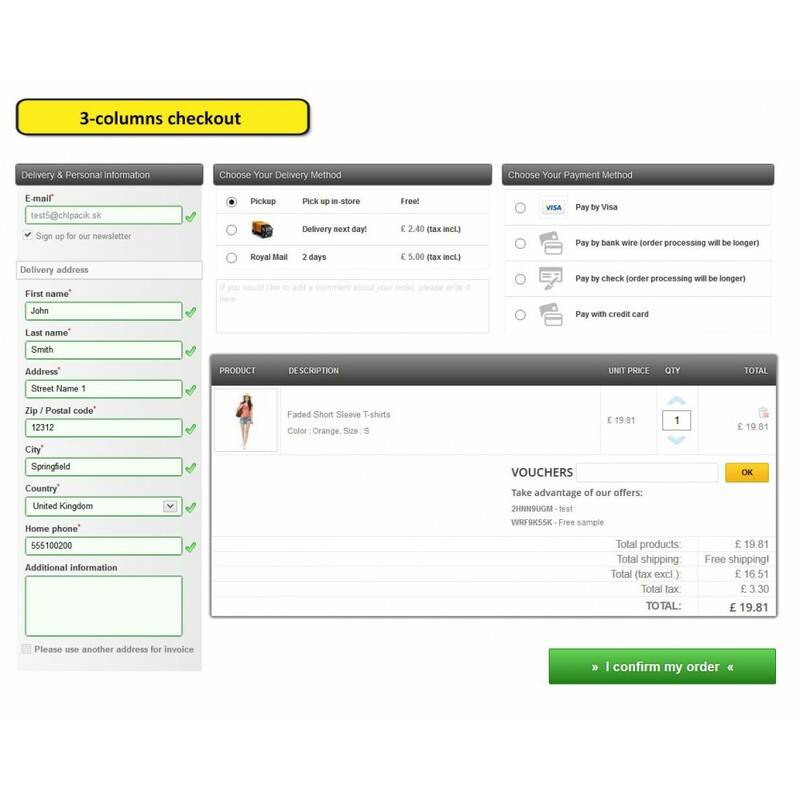 Now feature-full product with fully ajaxified cart summary and cross-selling support.